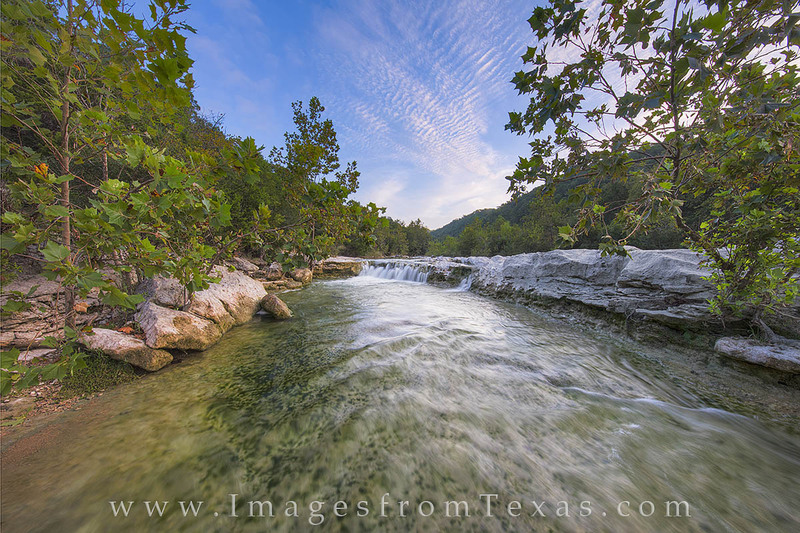 This little part of Barton Creek branches off from the main cascade of Sculpture Falls. After wading across the rocks and water, I was pleased to find a nice little scene such as this, especiallly with the colorful and partly cloudy sky. Those clouds seemed to line up just above the falls, creating a nice balance to this oasis just outside of downtown Austin, Texas. Photo © copyright by Rob Greebon.